I don't do boring salads. If I'm eating a salad, you can guarantee it's filled with every ingredient possible. A little bit of lettuce? Some cucumber? Carrots? Tomatoes? Boring. A huge mixing bowl filled with ALL the things?! Sign me up. 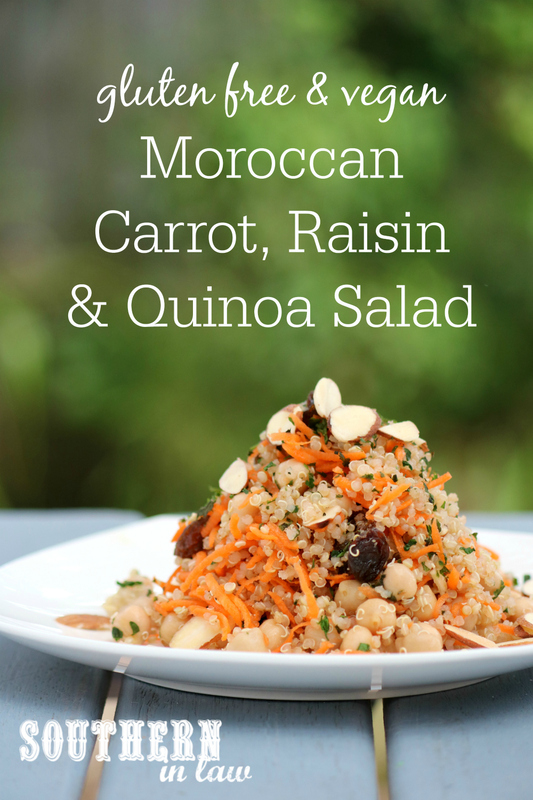 This salad is one of those salad recipes. It's filled with lots of different flavours and textures to make a main or side dish that is seriously delicious - and packed full of nutritional goodness too. It's a great way to use up leftovers - and a great meal prep recipe as you can make it up in advance and add the final touches when you're ready to serve. 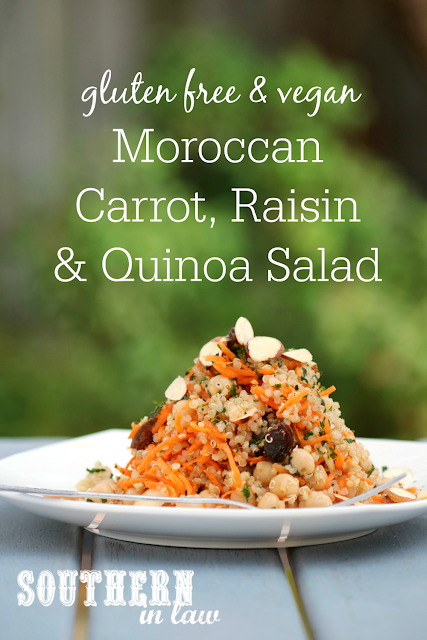 I know it might sound a little bit odd (carrots, raisins and almonds together?) but trust me - it's a salad you'll find yourself making again and again! Make your quinoa according to package directions. Once cooked, stir through your cumin, coriander, paprika, all spice, ginger, cinnamon and salt. If you want a cold salad, chill your quinoa in the fridge until cold - or continue assembling your salad if you'd prefer a warm salad. Add your cooked quinoa to a mixing bowl and stir in your carrots, chickpeas, raisins, almonds and parsley. Whisk together your dressing ingredients and add your dressing to your quinoa mix, adding just enough to coat the salad. Enjoy immediately or chill in the fridge to eat later. 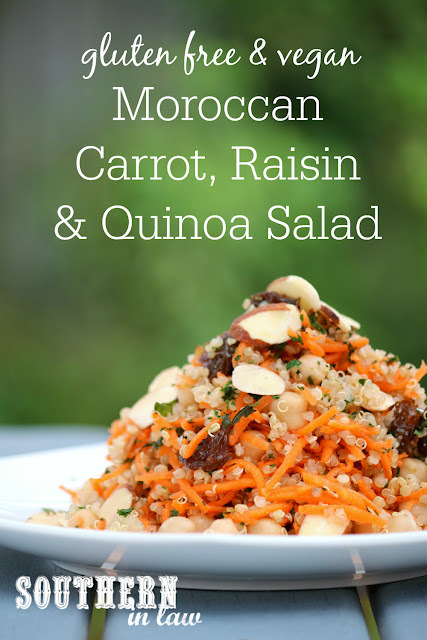 This salad will keep in the fridge in an airtight container for 2-3 days. But tell me, what's your favourite salad mix in? And what are you loving for lunch at the moment?